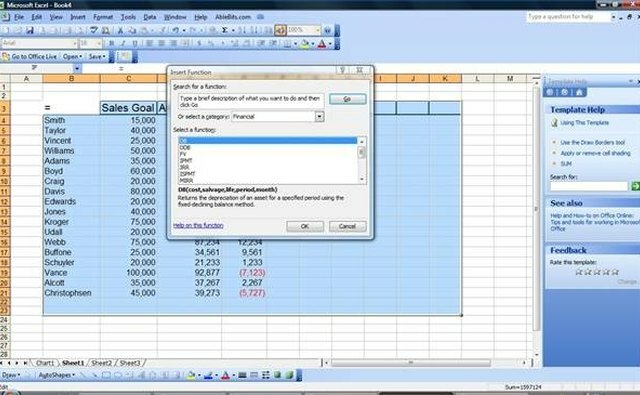 Programs such as Microsoft Excel, Apple Numbers and OpenOffice Calc allow users to create purposeful, adaptable spreadsheets. 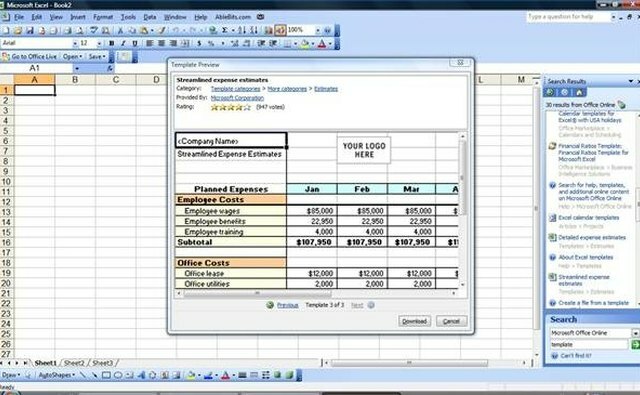 Spreadsheets are computer files that have the appearance of a paper worksheet with the added functionality of a computer program. 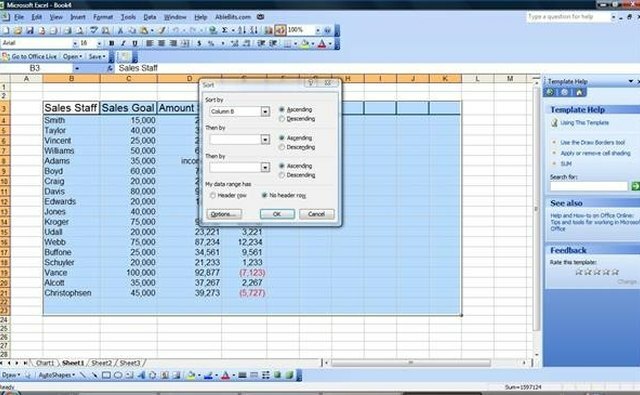 Spreadsheet programs include features such as built-in calculators that will handle complex calculations automatically, as well as colorful graphs and charts created with the click of a button. Learning to make the most out of a spreadsheet program can mean a lighter workload. Create a chart. 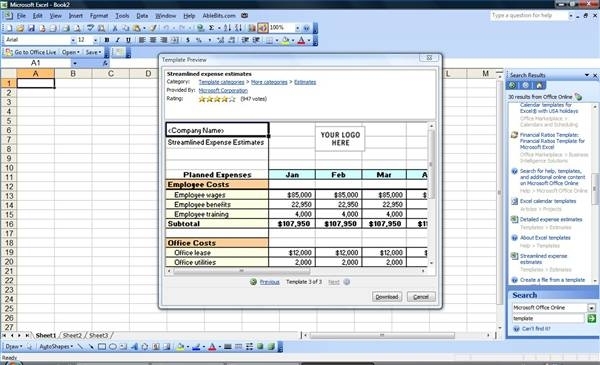 Spreadsheet programs have tools that will create a chart from existing spreadsheet data. 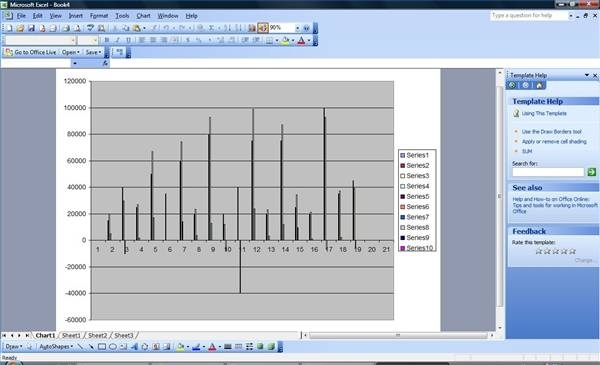 In Microsoft Excel, select the data and press the "F11" key for an instant chart. 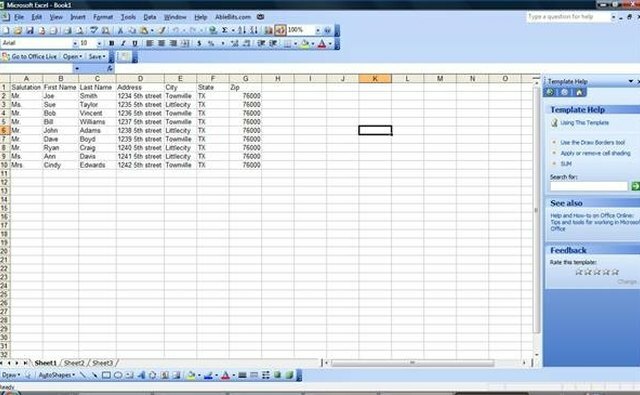 In OpenOffice Calc, select the data, click on "Insert" and select "Chart." Sort data. Spreadsheets make it easy to sort a table of data by several criteria. To sort in Excel, select the data in the spreadsheet, go to the "Data" menu or tab of the ribbon and click "Sort." In OpenOffice Calc, the "Sort" option is in the "Data" menu as well. Set up a mailing list for labels or mail merges. Enter headings into the first cell of each column, such as "First Name," "Last Name" and "Street Address." Enter the information for each recipient in the cells below the headings. Use formulas. Spreadsheet software programs offer numerous formulas from basic addition to calculating depreciation. Select the cell where the solution should be entered. In Microsoft Excel or OpenOffice Calc, click the "Insert Function" button. Select a function from the list of options, or type in a brief description of the desired formula. Use templates. There are spreadsheet templates available for almost any use, from budgets to reports to schedules. 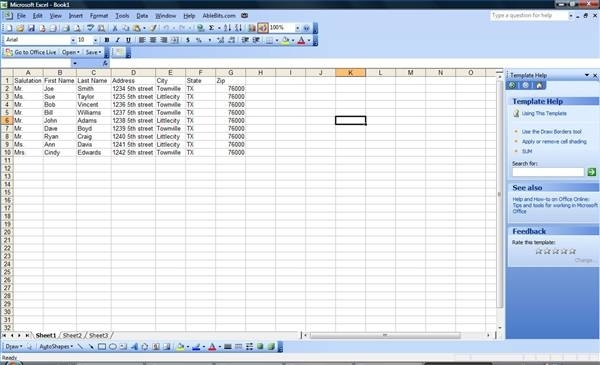 Most spreadsheet programs have free downloadable templates on their websites. These templates include built-in formulas, formatting and other features.